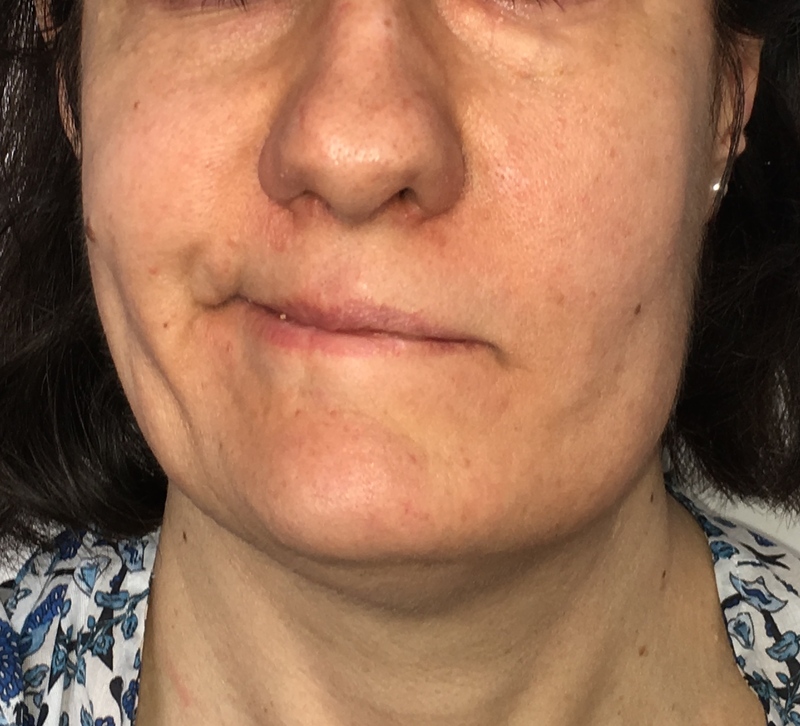 Facial paralysis is the complete absence of movement, instead paresis means reduced movement. 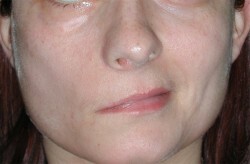 This may be evident at birth in the case of congenital cases. 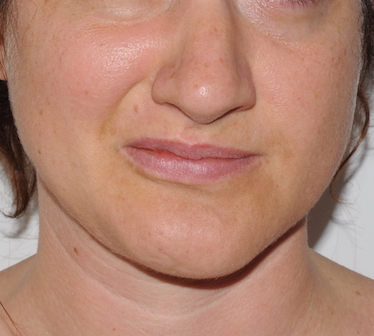 More frequently, however, it is due to an erroneous regeneration after a Bell palsy or after cranial base surgery or brain operations. 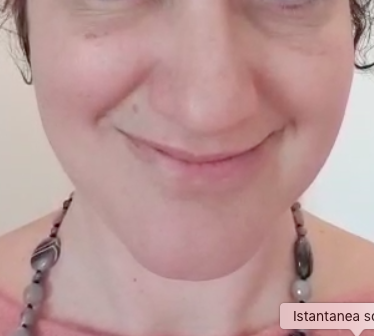 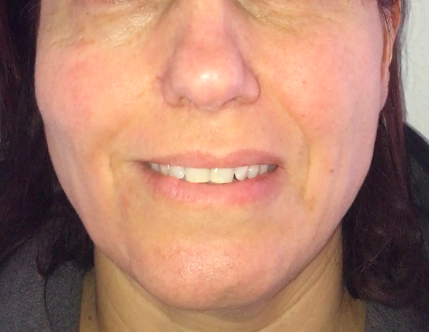 In this case the paresis is frequently associated to synkinesis and contracture of the muscles (easily identifiable because the eye is more closed, smiling groove is more accentuated, and the patient feels the muscles “pulling” too much, sometimes associated to pain). 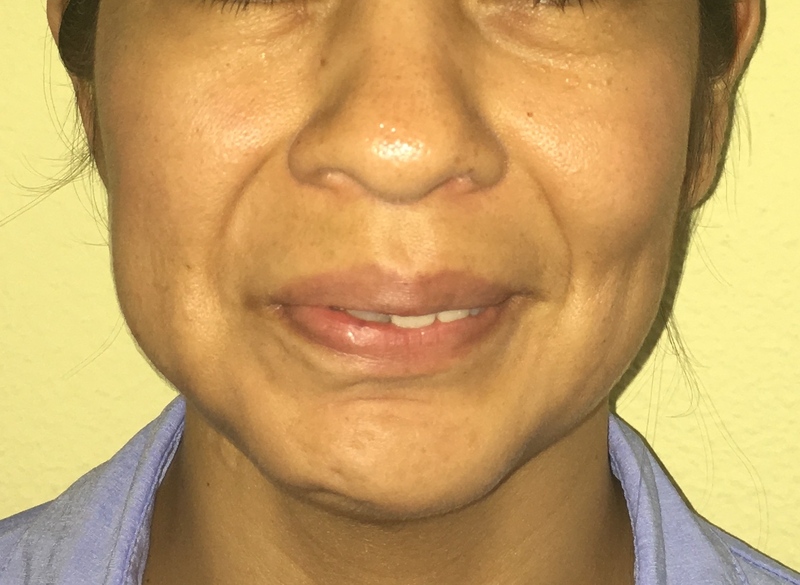 Synikinesis is an involuntary movement while making a voluntary one, such as closing the eye during chewing or smiling when closing the eyes. 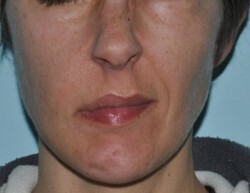 This is due to the incorrect regeneration of nerve fibers after paralysis. 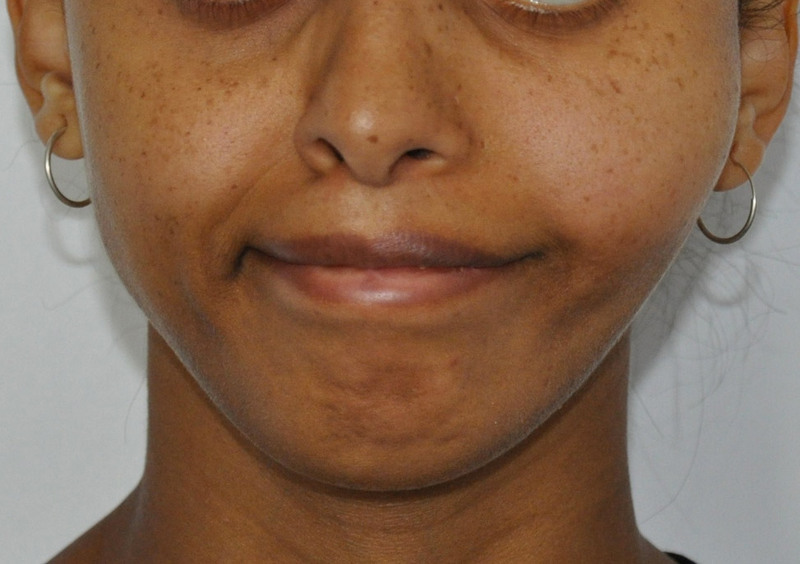 Basically some axons “reach the wrong target” and innervate muscles different from the original ones. 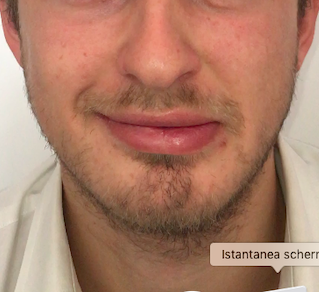 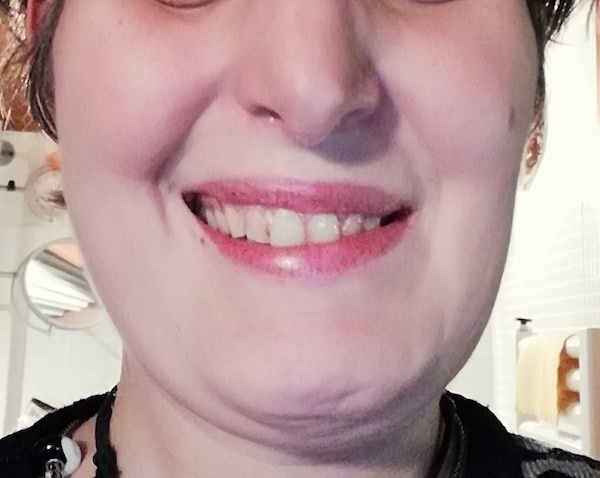 A typical situation is a reduced smiling because the fibers that innervate the zygomatic muscles, responsible for upword movement of the corner of the mouth during smiling, are partlially misleads to the depressor muscle of the corner of the mouth and to the platysma. 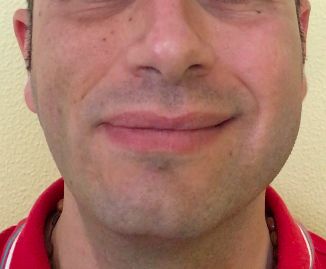 These two muscles tend to pull downward the corner of the mouth: because of that, the natural impulse to raising of the lip is hampered by the simultaneous involuntary impulse to lower it during smiling. 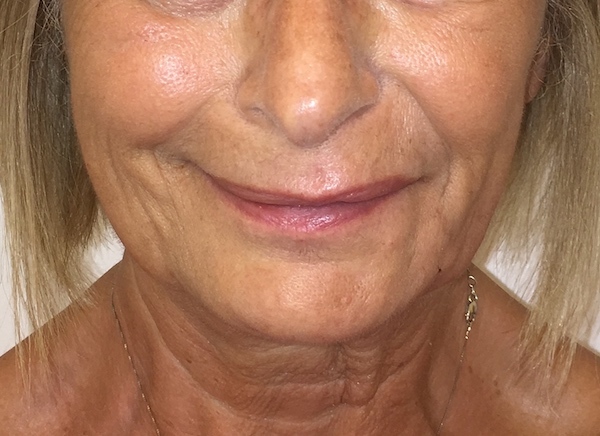 The result is a “half smile” because the lip maintains its natural movement on the healthy side, while the smile is reduced on the paretic side. Treatment for mild cases may be limited to physiotherapy and botulinum toxin injections (these must be repeated every 4/5 months for a lifetime). Instead for mild to severe cases, or to obtain more stable results over time, it is necessary to intervene with specific microsurgical operations. 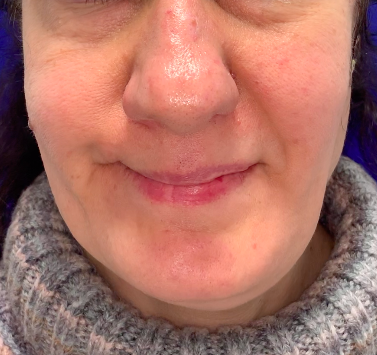 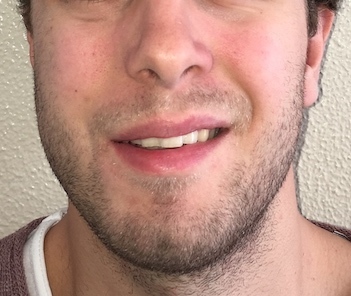 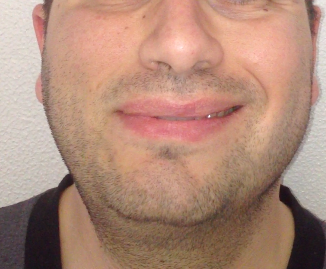 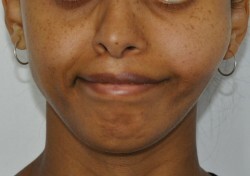 Middle-grade asymmetry of the upper lip at rest. 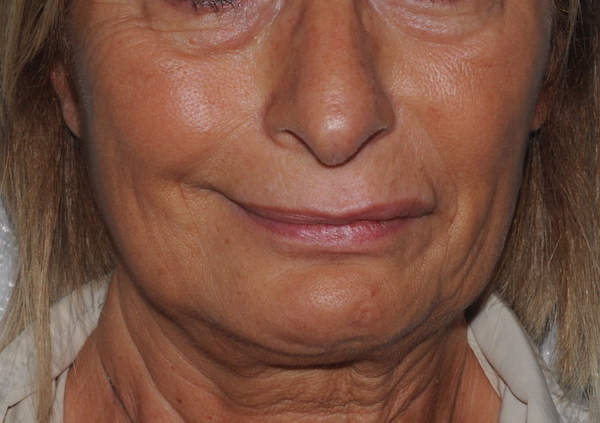 The deficit was corrected well after surgery. 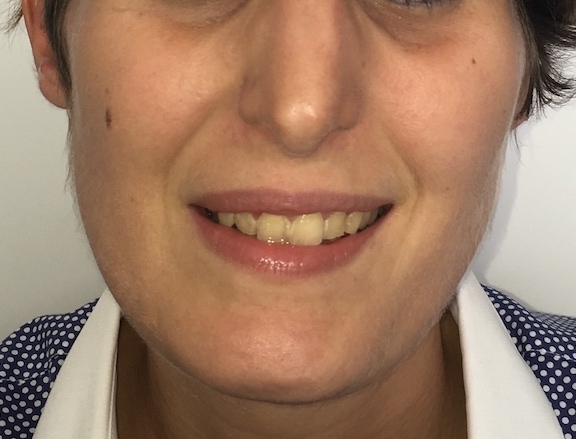 Lip motility deficit with lip dragging towards the left is evident when smiling. 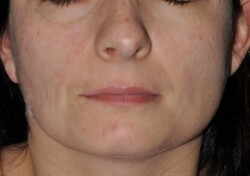 Mild asymmetry of the upper lip at rest. 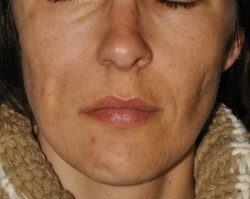 Resolution of the defect after surgery. 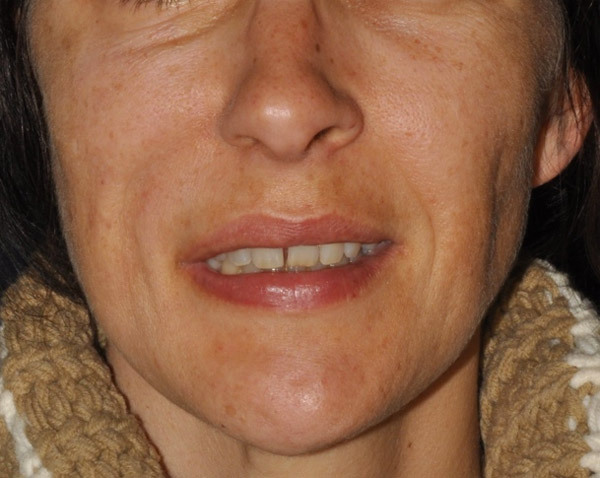 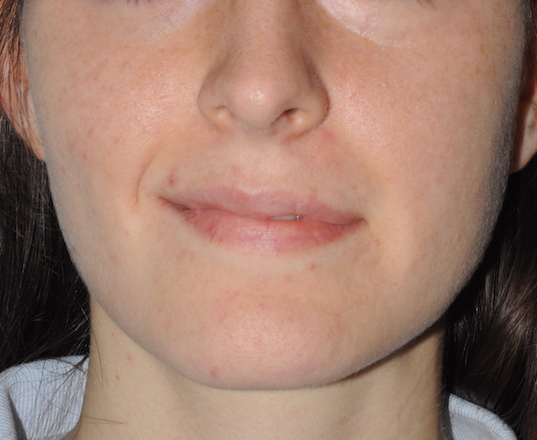 The paresis was more evident during smiling at the upper lip level, and less at the lower lip. 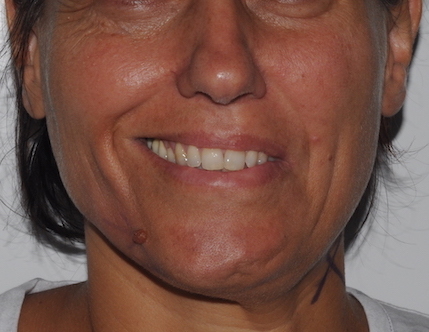 The defect was corrected well after surgery. 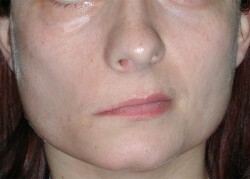 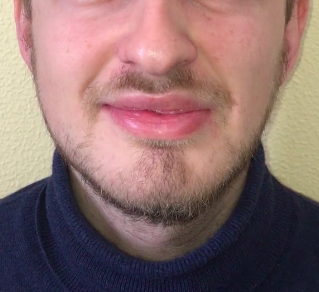 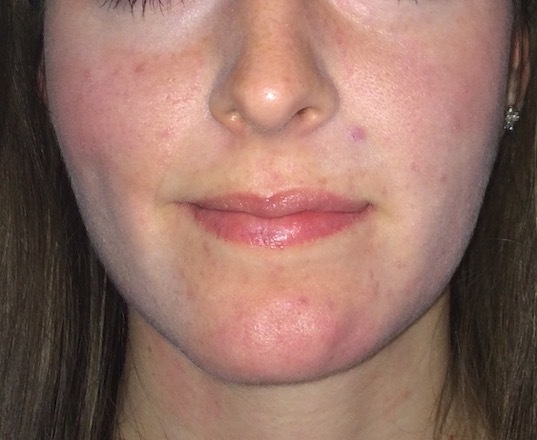 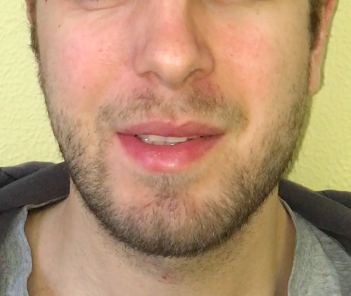 Medium-grade asymmetry of the upper lip at rest. 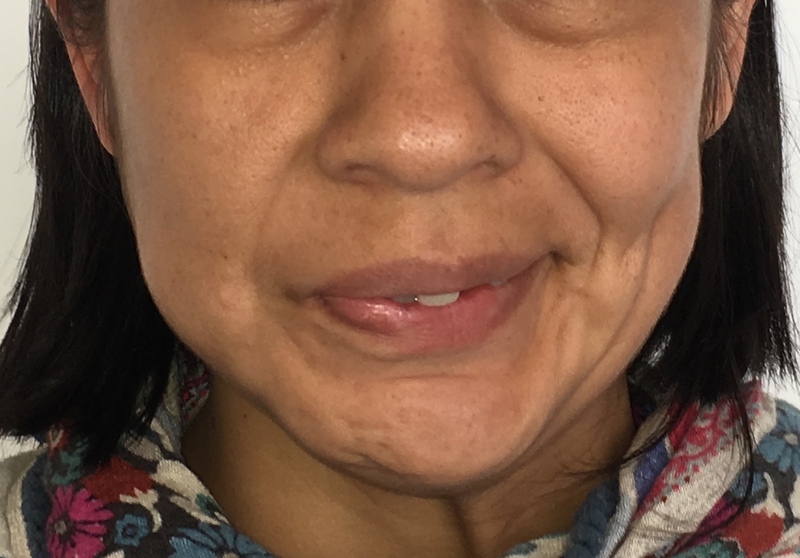 Symmetry of the face after surgery. 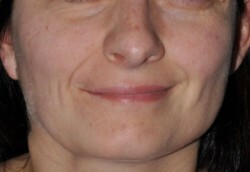 Paresis was centred primarily on the upper lip during smiling. 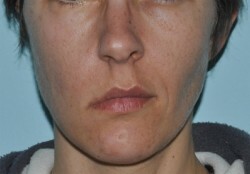 The defect was barely visible after surgery.